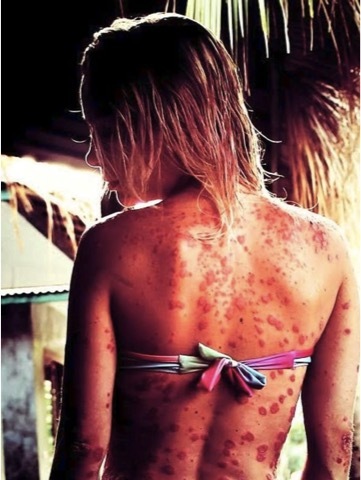 People Stare At Her Rash Covered Body. What She’s Doing About It - INCREDIBLE! If you’ve never heard of psoriasis, it’s a skin disorder that results in itchy, dry patches of skin that can also be painful. It’s fairly common, and the severity and exact symptoms differ from person to person. However, for most people, it is not usually as severe as it is for Giorgia Lanuzza. 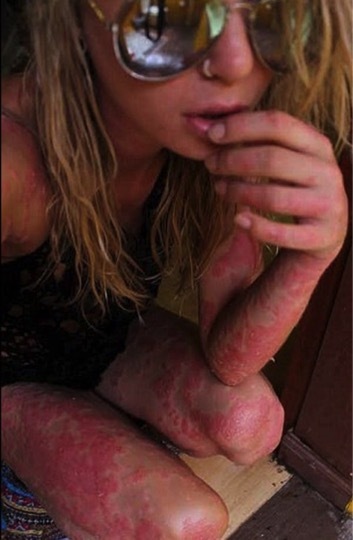 The patches started out on just her arms and face. But they continued to spread, and soon she was covered. Even though there is absolutely nothing contagious about the disorder, others, including her schoolmates, treated Giorgia as if she was “a freak.” Having just lost her father, and now being constantly stared at and ostracized, Giorgia’s self-esteem plummeted. But, as we know, God often uses trials to bring out the best in us. And Giorgia, who was already perfectly beautiful on the outside, also had a strong and beautiful spirit on the inside. She realized she had a choice - she could cower to the scrutiny she received or she could find the courage to love herself and the way God had made her. Giorgia accepted her body and decided she’d no longer try to cover up her psoriasis. It was part of who she was. And so, she started a photo series bravely displaying her natural self. She hopes that others struggling with their body image will gain strength and inspiration from the pictures she shares.